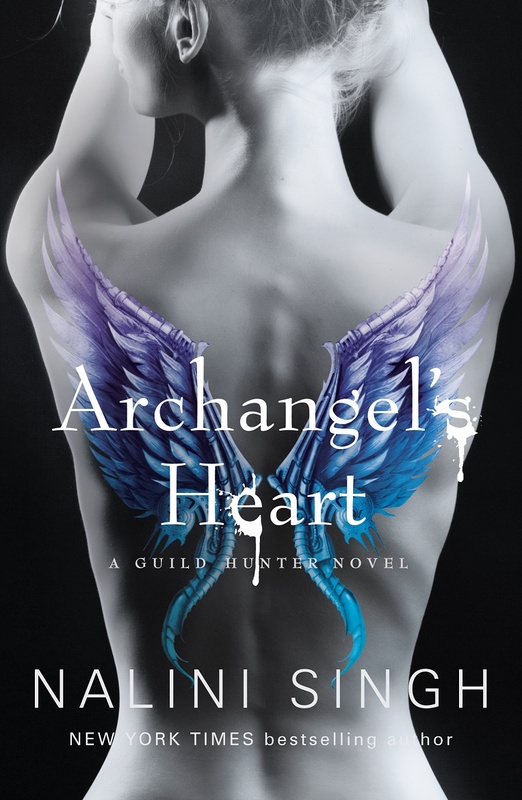 I totally hit the cover jackpot for Archangel's Heart! I love this cover!!! 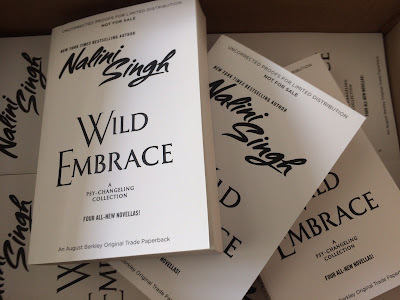 "WILD EMBRACE ARC Contest" in the subject line AND your name and mailing address in the body of the email (entries without names and mailing addresses will be disqualified). By 10pm, 6th July 2016, New Zealand time. Since this is an Advanced Review Copy, if you win, we'd ask that you please post a review somewhere before the release date (August 23rd) - on a blog, on Amazon, B&N, Goodreads...it's up to you, but it would be much appreciated if you'd post your thoughts somewhere. The contents of the review are, of course, totally up to you. The fine print: Contest is open internationally. One entry per household. No purchase necessary to enter. Winners will be chosen randomly using random.org and emailed on 7th July 2016. Their names will also be posted on this blog at that time. Each winner will have 48 hours from the time of notification to contact us, otherwise he or she will forfeit the prize and another winner will be drawn. Void where prohibited. The cover reveal will take place on Thursday night NZT. That'll be Thursday morning in the UK and in the USA. 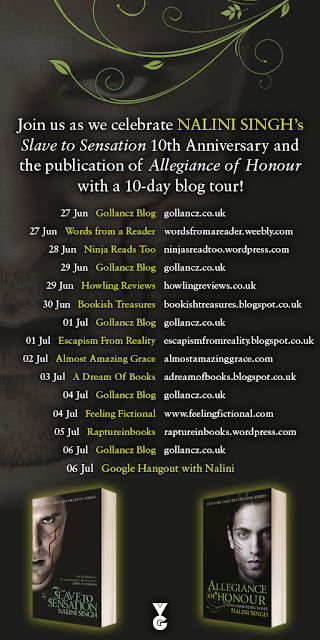 Also, my international publisher, Gollancz, is holding a 10 day book tour to celebrate the 10th anniversary of the Psy-Changeling series! To kick this off, I did a blog post for them talking about the beginning of the series. Also upcoming is a podcast and a Google hangout. Full details in the graphic to the left! (If you're reading this on Goodreads and the graphic hasn't come through, click this link to go to the main blog). Look at this stunning cover!!!!!!! I love it, LOVE it! It's so perfect for the book! If you're a blogger and would like to participate in the cover reveal for the US cover of Archangel's Heart at the end of this week, just fill in this form. I can't wait for you all to see the cover!!! 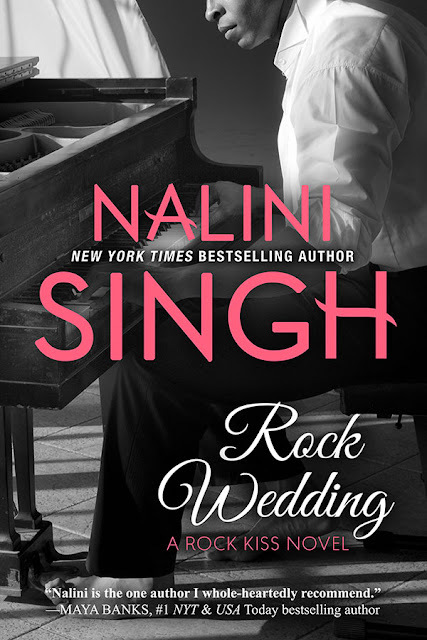 I adore this cover so much!! I can't wait to share the back cover for the paperback, too, which'll feature the rest of the gorgeous setting this photograph was taken in. I had an amazing launch at Remuera Library earlier this week, during which I answered questions from the audience. I thought you might want to see some of it. Enjoy!! :-) If you're reading this on Goodreads and can't see the video, click this link to go to my Youtube channel. Allegiance of Honor is out! 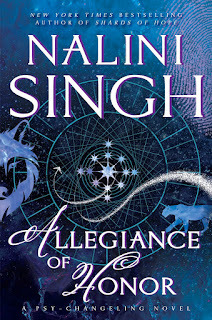 ALLEGIANCE OF HONOR is now officially out in the US & Canada in all formats: ebook, print, audio. It's out in print in NZ & Australia (the ebook is linked to the UK release). The UK & international edition will release in print & ebook as soon as it turns the 16th in the UK. Also, check out the gorgeous 10th anniversary Psy-Changeling notebook on the left! These are special edition notebooks and are not available for sale anywhere. BUT, Berkley has sent me some to give away, yay!! 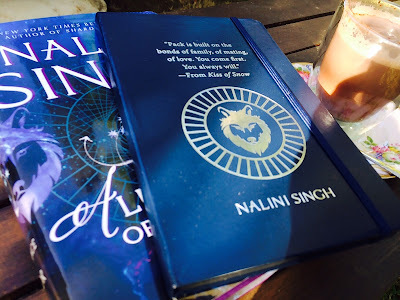 If you'd like to go in the draw to get one of them, you can either review Allegiance of Honor or any earlier book in the series and post your review online on a retailer site or on your blog etc, OR you can feature AOH or earlier books in the series in an Instagram or blog or Facebook post etc. Basically, as long as you do something to spread the word about AOH or the series as a whole, you're in the random draw. You must do this during Allegiance of Honor's release week, so within the next seven days. And, you have to let us know you've done it. So you can tag me on Instagram or Twitter, or just drop Ashwini an email letting her know so she can put you in the draw. (naliniDOTassistantATgmailDOTcom). 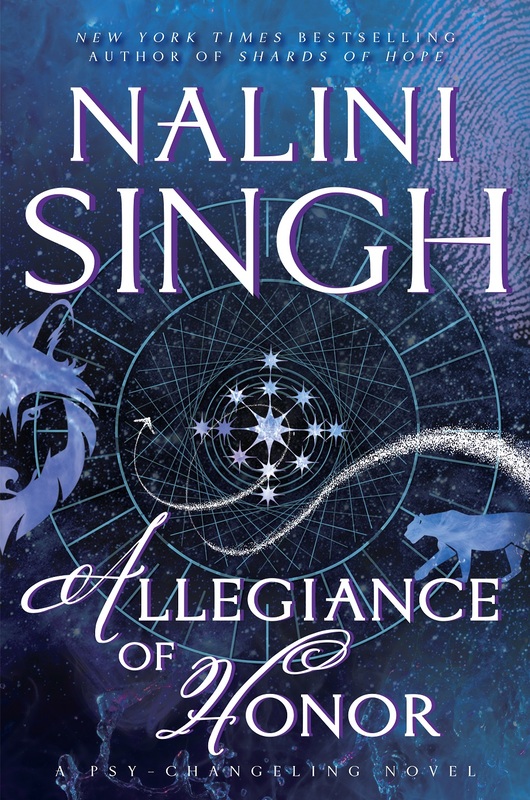 This is the dedicated *spoiler* thread for Allegiance of Honor and earlier books in the series. Spoilers abound, so be warned!! Place your bets!! 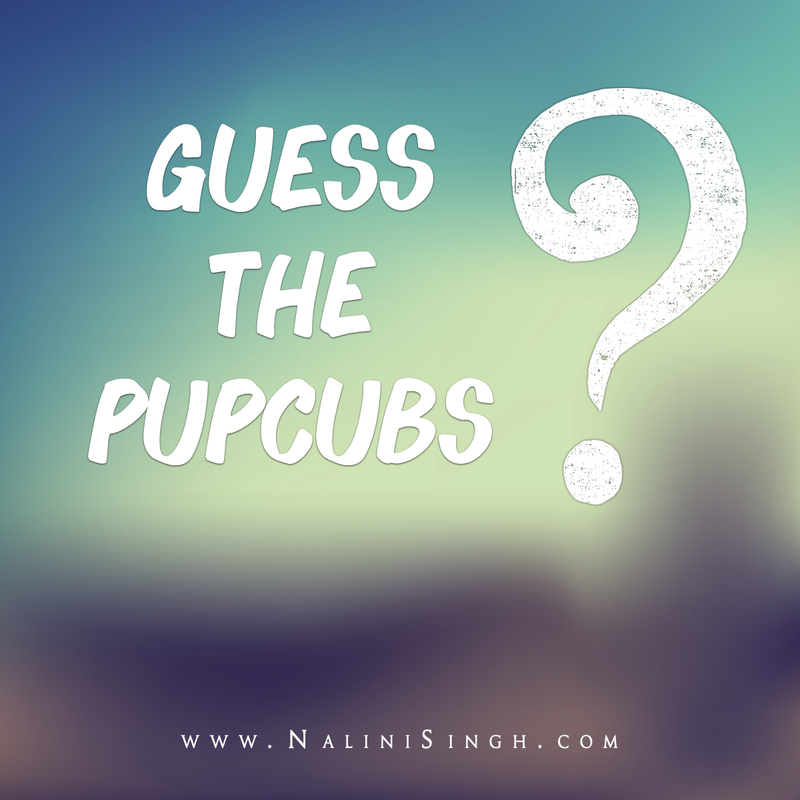 How many pupcubs do you think Mercy and Riley will have? Girls? Boys? Wolves? Leopards? All theories accepted! Answers to be revealed in ALLEGIANCE OF HONOR next week! Let's see who gets it right. Ready? go! p.s. If you've read an early copy, please don't spoiler the answer!! I'm halfway through Fiona Barton's The Widow. A good one to try if you're looking for a quietly creepy psychological thriller. This new excerpt at USA Today's HEA blog features Riley and Mercy!! Enjoy! Six days to go till the release!! 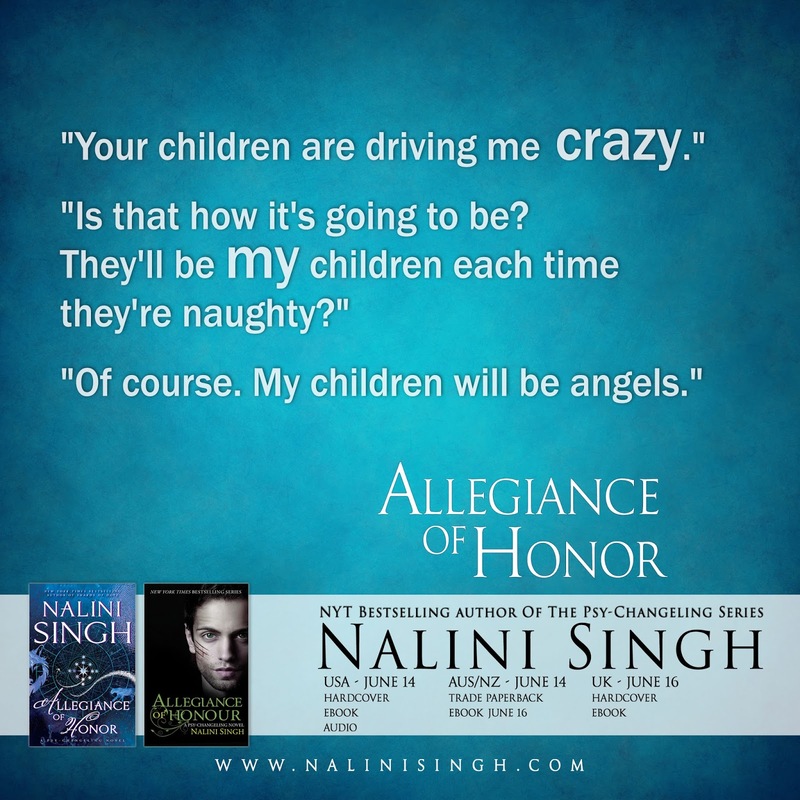 Check out this new excerpt from Allegiance of Honor over at Book Binge, featuring Kaleb and Sahara! More new excerpt links coming soon, so check the blog regularly this week! 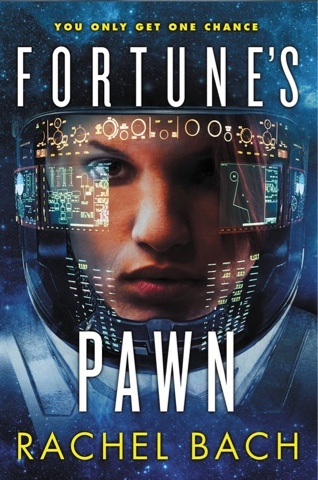 I read Rachel Bach's fantastic Paradox Trilogy - great sf with a tough, strong heroine and enough romance to satisfy my romance loving heart. Allegiance of Honor has been chosen as one of the Best Books of the Month by Amazon! Woohoo!! I so can't wait for it to release!